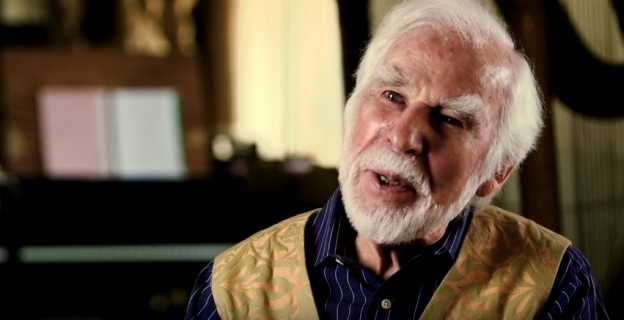 John Scott — the great British composer of such memorable scores as Antony and Cleopatra; Greystoke: The Legend of Tarzan, Lord of the Apes; The Final Countdown, and many more — is the subject of a career-spanning interview posted by the Film Music Foundation. I was privileged to conduct it when Scott (who divides his time between London and Los Angeles) was here in L.A. recently. The Emmy-winning composer speaks thoughtfully and articulately about his time as a flutist/saxophonist on the London scene in the 1950s, becoming a composer in the 1960s, his many collaborations with film directors and TV producers (including Jacques Cousteau, doing many of the Cousteau documentaries of the 1980s) and much more. He is simply a delightful gentleman. This entry was posted in and tagged Antony and Cleopatra, composer John Scott, Cousteau documentaries, Film Music Foundation, Greystoke The Legend of Tarzan Lord of the Apes, Jacques Cousteau, John Scott, The Final Countdown on May 8, 2016 by Jon Burlingame.